When everything seemed to go wrong for Pottermore and their sales, J.K.Rowling has put a new breath of life into the company by announcing the Harry Potter book 8. The results presented for the year 2015 showed that Pottermore sales have increased from 800,000 units in 2014 to 1,34 million units sold. All as a result of the announcement of the sequel to Harry Potter. J.K. Rowling has been publishing other books under pseudonyms and her own name but these publications have not had the same success as Harry Potter. Some months ago we knew that J.K. Rowling was going to continue writing and drawing new books of the Harry Potter saga, but we were unaware that it was going to be so soon. The CEO of Pottermore has now confirmed the title of the new book and the launch date. Harry Potter and the Cursed Child is the new title of the eighth book of the saga, which recreates the future of Harry Potter, where Harry is married, works at the Ministry of Magic and has three children. The new book by J.K. Rowling is expected to be published in the end of July, 2016. Apparently some people already have the script and draft of the Harry Potter book 8, a draft that circulates through the network in electronic format but we cannot confirm that this is the original draft or even that it corresponds with the original new part of the world-famous novel. However, rumors and the controversy persist. In any case, the fans of the saga are in luck because apparently before the end of the year we will have a new book of the Harry Potter saga. So, what do you think? 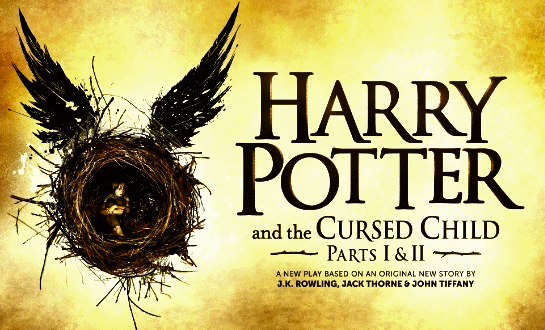 Do you think that the draft circulating on-line really is to Harry Potter and the Cursed Child?